The residence nil rate band – do I qualify and should I change my Will? A key promise in the Conservative Party’s manifesto prior to the last election was an increase in a married couples’ “nil rate band” (the amount they can ultimately pass to their children or others free of inheritance tax ) from £650,000 to £1 million. The Party had picked up on a growing disquiet that the nil rate band hadn’t kept up with house price increases which were pushing more and more families into the inheritance tax net. The standard nil rate band has been capped at £325,000 per person until 2021. On the back of that promise, for deaths on or after 6 April 2017, the new, additional “Residence Nil Rate Band” (RNRB) will be available where the estate contains a family home (“a qualifying residence”) left to children or other “direct descendants” . A maximum RNRB amount of £100,000 per person is available for deaths this year, increasing to £175,000 in 2020. If you double these figures for a married couple, the magic £1 million figure is reached by 2020. A “qualifying residence” is any home that an individual lived in before they died (so buy-to-let properties, for example, are not included). If you own more than one residential property when you die, your personal representatives will need to nominate which property the relief should apply to. At the end of the day, the property needs to end up in the hands of “direct descendants”. They are defined quite broadly in the legislation and include children (including adopted, foster and step-children), grandchildren, together with the spouses and civil partners of children and grandchildren. It does NOT include nieces and nephews, siblings or other relatives. The main perceived difficulty arises when the property is left to a trust, for example a discretionary will trust. In these circumstances, the property will NOT be treated as having being inherited, even if the class of beneficiaries is made up entirely of direct descendants. It should however be possible to appoint the property out of the discretionary trust to direct descendants within two years of death, so that the RNRB can be captured. Where the direct descendant has an absolute entitlement to the property (for example, under a bare trust), the property will be treated as inherited. For estates with a net value of £2m or more, the RNRB will taper away £1 for every £2 over £2m. Therefore currently, the RNRB will not be available for an individual estate over £2.2m. There may be cases where lifetime gifting is appropriate to ensure the estate is within the limits. Where the family home has been sold (perhaps to move into a smaller, rented property or a retirement flat or nursing home) “downsizing relief” means that the RNRB can still be claimed. The calculations involved in downsizing relief are complicated, but the essence of the relief is that you can still clam the benefit of the RNRB where you disposed of a qualifying residence on or after 8 July 2015. Where does this leave us now in terms of estate planning; should we all be changing our Wills to ensure that the RNRB is captured? The short answer is “no”. I have already mentioned that in the case of a discretionary trust, it should be possible to appoint the property out within two years to take advantage of the RNRB. A deed of variation within two years of death, if appropriate, will achieve the same result. In any event, if you have left the property under your Will to individuals who are NOT direct descendants, I doubt those wishes will have changed by reason of the introduction of the RNRB. Specific provision can be made for the RNRB in the Will, if this gives the testator some peace of mind. One option would be to leave assets equivalent in value to the maximum available residence nil rate band on discretionary trusts, with an accompanying letter of wishes to trustees requesting that they exercise their powers to ensure that any qualifying residential interest is inherited by direct descendants to take advantage of the residence nil rate band. 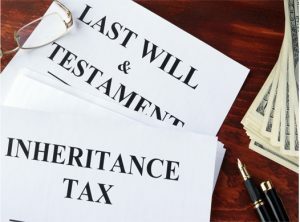 While a change in inheritance tax reliefs might be a trigger to pull our Will out of the drawer, my guess is that most Wills should prove compliant with requirements for the relief unless, of course, there was never any intention of leaving the estate to children or other “direct descendants” anyway. Only, perhaps, where (rarely) the whole estate is left to a mixture of direct descendants and others, might some redrafting be necessary to ensure that the RNRB will apply to the qualifying part.